Even though our planet’s magnetic field might be shaky, it has recovered from similar states before, scientists say. However, a new study by a team of University of Liverpool scientists, published in Monday’s issue of the Proceedings of the National Academy of Sciences (PNAS) indicates that the current patterns of disturbance of the Earth’s magnetic field differ from the ones that preceded previous pole reversals. The researchers believe that the current field looks very much like it was around 49,000 years ago when it suffered a notable drop in strength but no outright flip. The current magnetic north and magnetic south, located very close to their respective poles, have been there since the last reversal that happened about 800,000 years back. “There has been speculation that we are about to experience a magnetic polar reversal or excursion. However, by studying the two most recent excursion events, we show that neither bear resemblance to current changes in the geomagnetic field and therefore it is probably unlikely that such an event is about to happen,” Richard Holme, professor of geomagnetism at the University of Liverpool, said. “Our research suggests instead that the current weakened field will recover without such an extreme event, and therefore is unlikely to reverse,” he added. So, basically, the conclusion of the research is that we’re unlikely to see a pole flip happening any time soon. 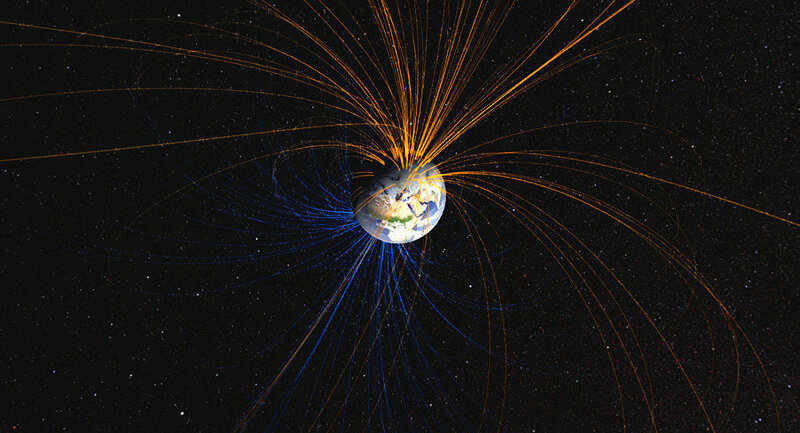 The magnetic field is generated by a molten core of iron, nickel and other metals deep inside Earth resulting in huge electrical currents to produce a gigantic field.